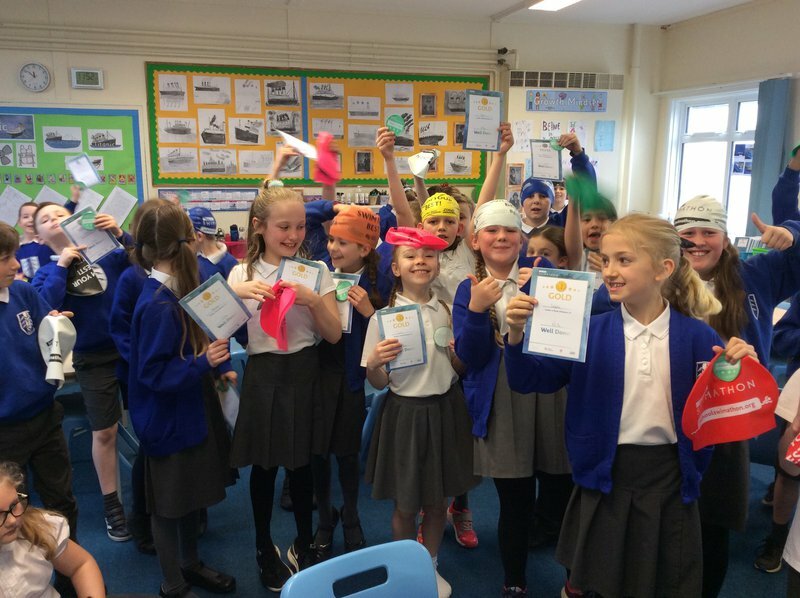 This term, our Y4 children took part in a challenge to set a baseline for their swimming at the start of the year and to see if they could improve upon it after 8 weeks of swimming lessons. Organised through the swimathon website, we signed up the children and on week 1, the children swam - either lengths of the pool, or half widths, and recorded how many they did. These were converted in to metres and set the baseline for the children. Over the next 8 weeks, the children had their weekly swimming lessons, all the time knowing that they would be recording the distance that they achieved at the end of the term's swimming. Today, when they went to swim, we have never seen the children so keen, so smiley and so supportive and encouraging of each other - pushing each other on to keep going and to try their very best. It was great! At the end of the session, they submitted their lengths / widths and again they were converted in to metres - and all of the children had done better, some remarkably so. This tallied with the progress that we had seen in their swimming over the three months.